Amid the verdant trees and lush summer grass, nestled between the rolling hills, lies our hideaway, steeped in the morning haze. 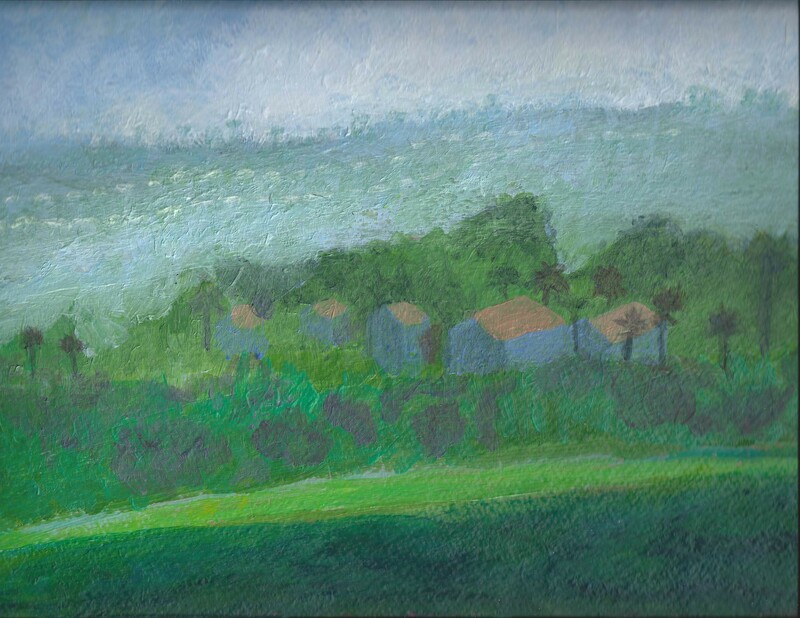 This landscape is a study in light, color and atmosphere. Utilizing many glazes to achieve a soft sfumato, the original is done acrylic.